This is the first story I picked up at the end of my self-imposed reading hiatus. It got me interested in reading again! I am happy to admit it. Normally, I hate serials. Really hate them. The reason? Every serial I ever read has been really lousy. They are a chapter or two, and end with no real “end.” It always feels like the writer simply grabbed a few chapters and published them with no real thought involved. Ugh. But being a lover of all things Kate Baray, I had to give up that idea when she began offering “Spirelli Paranormal Investigations.” And as with all things Kate, she doesn’t disappoint. Now This is how serial should be done. Set in the world of the Lost Library, the stories of Jack Spirelli are tales with start-middle-end, something I haven’t found in any other serial. This is more a novella series than a serial. A really and truly fun series. We met Jack during the Lost Library series, but now we get his story. The owner of The Junk Shop, which definitely fits its name, it is a cover for his paranormal investigation service for the magic-using community. Quiet and unassuming, often irritable, Jack never really wanted a partner. But with business growing more quickly than he really wants, he puts out a request to the Inter-Pack Policing Cooperative. And what he gets in return is Marin. Yep. A dragon for a minimum wage assistant. The story in Episode 1 is the first Jack and Marin work together – and a ghost is determined to ascertain that it is their last. It was lovely fun. In Episode 2, Jack and Marin’s next case take them back to Louisiana, where a single case of “something odd is going on . . .” becomes much more, and much more dangerous, than they ever expected. 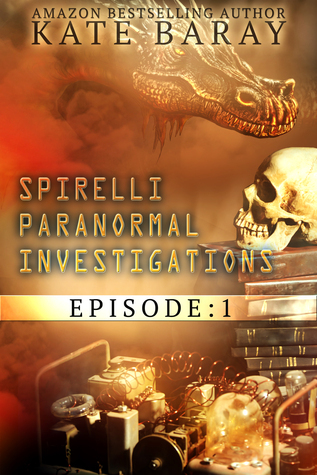 I received “Spirelli Paranormal Investigations Episodes 1 – 3 so far from Kate in return for a realistic review. All thoughts are my own. 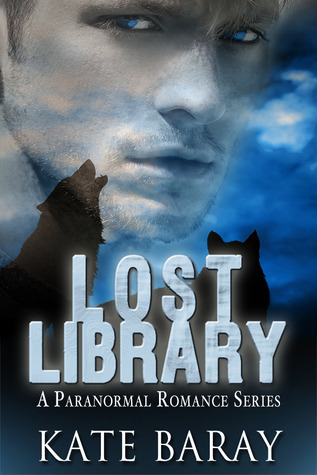 If you haven’t read the Lost Library series, I highly recommend it, as well as all of Kate’s other works. As always, “Likes” on my Amazon Reviews are Highly Appreciated!